Mostar (BiH) airport is 70 km away from the Neum. Sarajevo (BiH) airport is 200 km away from the Neum. office, banks, public transport and closed public beach. 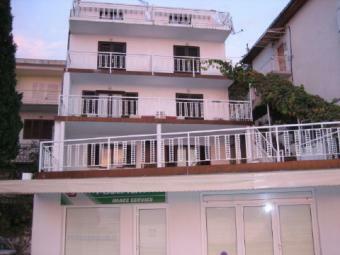 (total 80 sq.m): entrance hall, two bedrooms, two bathrooms, two kitchens and have a large terrace 30 sq.m with a sea view. There are outside barbeque places and storage places.